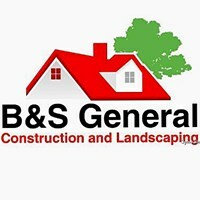 B&S General Construction and Landscaping - Landscaper based in Stapleford Abbotts, Essex. Hello I am Barry Pearce a partner in B&S General Construction and Landscaping with my son Sam, we have been running now for nearly 5 years and between us we have over 20 years experience. We cover all aspects of landscaping form complete garden redesigns to small repairs, pond installs, new fences/gates, patios, driveways, walls, real and artificial grass and much more. Please feel free to contact us if you would like a quotation or even if you need some advice we are here to help. We cover all RM and CM post code areas and the surrounding areas.